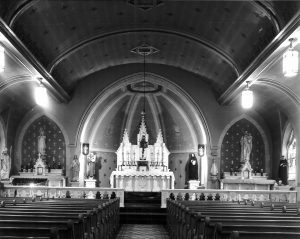 Saint Patrick Catholic Church has been a member of the Kennett Square community for 150 years. 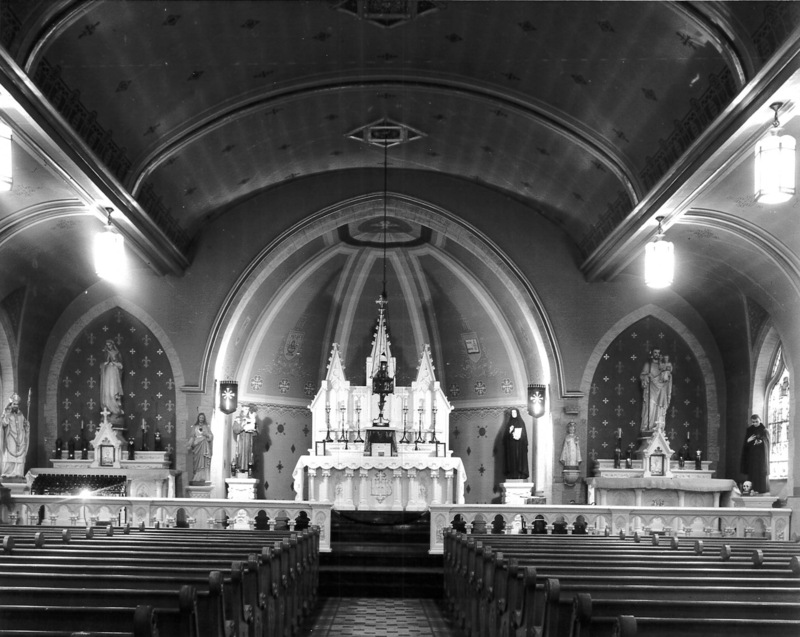 In 1869, the first church was built on South Street in Kennett Square. Later in 1906, the parish moved and ground was broken on Meredith Street where our current Church stands today. 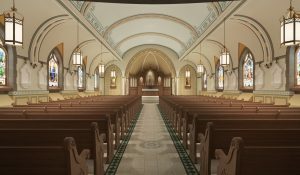 Its building is of granite with limestone trim, featuring a bell-tower at the corner, and having a seating capacity of 320 with beautiful stained-glass windows from Munich, Germany. 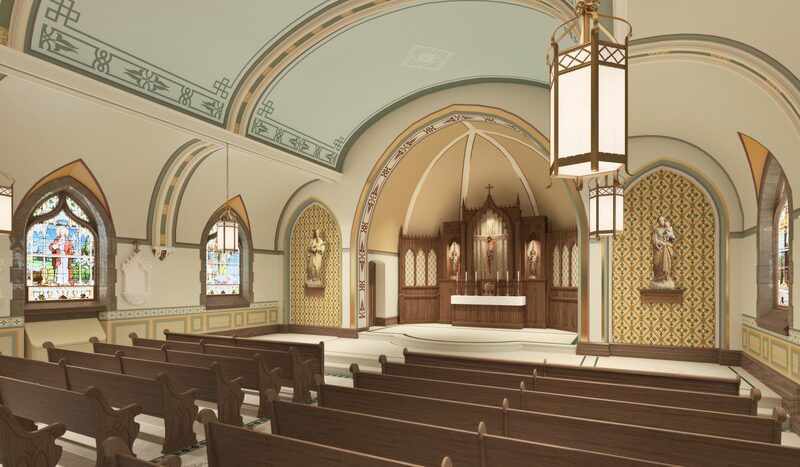 From baptisms to weddings; from KACS to Family Promise; from 1869 to 2019, St. Patrick Catholic Church has walked alongside the people of Kennett Square and the surrounding community for 150 years. We join together in celebrating this Jubilee legacy, commemorating the rich history of our past and celebrating our lives today in the present. When we look into the exciting future ahead and plan for our Jubilee year in 2019, we might ask ourselves “What legacy will we leave? 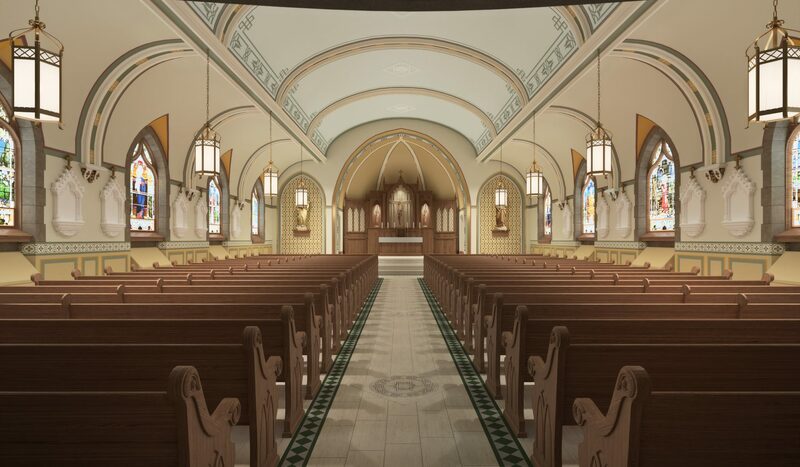 What will the community of St. Patrick Parish have from us in another 150 years?” It is a joyful opportunity for us to denote exactly what that legacy can be. Click on the image to view larger. The first two images are artist renderings of the 2019 renovation plans as of October 12, 2018. 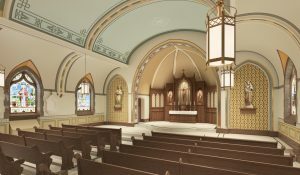 The third image is a historical photo of St. Patrick’s, demonstrating how the 2019 plans recall much traditional beauty. Thank you to all who have responded so far to our special appeal. The response has been terrific. As of January 28, 2019, $301,852.00 of $400,000 has been raised! 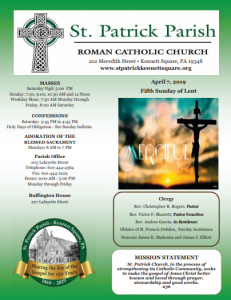 For more information, please contact the parish office at 610-444-4364 and ask to make an appointment with Father Rogers.